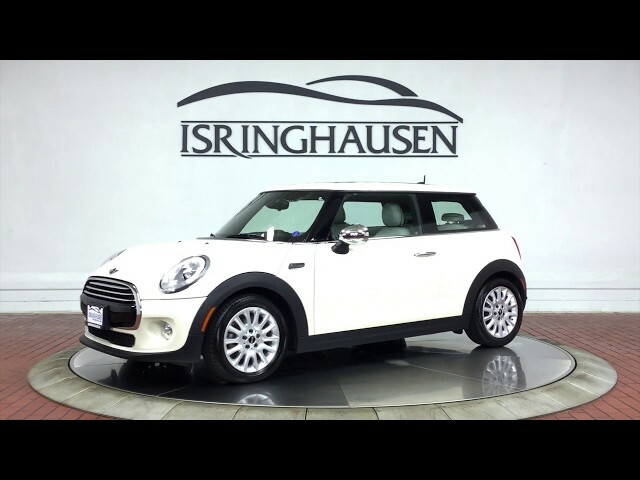 This beautiful 2014 MINI Cooper in Pepper White arrives in excellent condition with just 31,173 miles and comes loaded with options including Navigation System, Head-Up Display, Rear Camera, Sport Package, Panorama Roof and much more. 2014 offered a redesigned Cooper with more room, technology and practicality while maintaining it's spirited driving and unique presence and at only 14,900, this vehicle is a fantastic value. Contact a Pre-Owned sales specialist today by calling 877-362-9715. Isringhausen Imports is Central Illinois' premier new car, used car and certified pre-owned (CPO) dealership for quality BMW, Porsche, Volvo and Mercedes-Benz vehicles. At Isringhausen Imports, we have become a leader in the industry by working each day towards the greater good of our customers, our fellow employees, and our community.